Scandinavian Gambits - Chess Gambits- Harking back to the 19th century! In the Scandinavian Defence, Black meets White's 1.e4 with 1...d5, challenging White's e4-pawn. White's best option is to take the pawn, 2.exd5, although White can also side-step the Scandinavian Defence by transposing into the Blackmar-Diemer Gambit with 2.d4! ?, which is a common route into the Blackmar-Diemer for 1.e4 players. With 2...Nf6 (rather than the more obvious recapture with the queen on d5) Black has the idea of recapturing on d5 with the f6-knight, so as to avoid bringing the queen out into the open early in the game. However, many players use the 2...Nf6 option as a gambit, intending to sacrifice the d5-pawn in return for active piece play. 3.d4 Bg4, the Portuguese or Jadoul Gambit. Both give Black considerable practical chances, but their soundness is a matter of debate. In general I think 3.c4 e6 is sounder than 3.d4 Bg4, but many players have won some nice games in the 3.d4 Bg4 line too, even at grandmaster level, and if it can work at grandmaster level then it should be sound enough for club-level play. Black also has to have something ready for White's various third-move alternatives. 3.Bb5+ can be parried with 3...Bd7 intending 4.Bc4 Bg4, although White has the "killjoy" line 4.Be2, which avoids ...Bg4 and encourages Black to head in for regular ...Nxd5 lines, but Black also has the double-edged 3...Nbd7. 3.Nf3 can be met by the double-edged 3...Bg4, though this is probably not sound. Black can "duck out" with 3...Qxd5, aiming for a double-edged game with the kings typically castled on opposite sides of the board, and I recommend meeting 3.Be2 (which wipes out all of Black's possible gambits) with 3...Qxd5 as well. Most of the transposition issues are covered under "White's various third-move alternatives", but after 1.e4 d5, Black has to be prepared to face the Blackmar-Diemer Gambit after 2.d4. 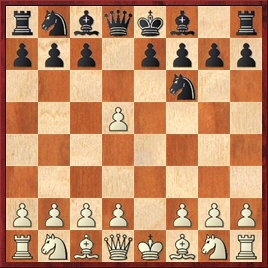 The Blackmar-Diemer Gambit is probably not as sound as most of White's other centre-pawn gambits, but it must nonetheless be taken seriously, since White usually gets dangerous attacking chances and tends to score well with it in practice.